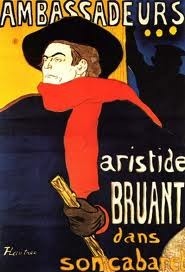 Best known for his art depicting scenes from cabarets, theaters, dance halls, and brothels, Henri de Toulouse-Lautrec lived and worked in France. Toulouse-Lautrec and His World features approximately 150 works on paper. While in Paris, Toulouse-Lautrec spent his mornings practicing academic drawing, his afternoons visiting salons and museums, and his evenings frequenting riotous nightclubs such as the Moulin Rouge. Throughout his brief lifetime he produced promotional posters and illustrated theater programs, book covers, menus, and other ephemera. His art was based on the social scenes and experiences that he himself lived through, and his interest lay in portraying people from all walks of life. Curated at the Herakleidon Museum, in Athens, Greece, this exhibition showcases works rarely seen outside of Europe, with the Flint Institute of Arts being the only Midwestern venue to present this collection. The exhibition features a rare collection of original works on paper, including a number of Toulouse-Lautrec's posters and sketches of famous actors and singers, as well as his friends and working-class Parisians. It would be nice to support the city of Flint in the context of French art. Please, check the website for the cost of a ticket. Wait!! This class is in Flint, MI, which we think is kinda far away from .